Putting accurate health information in the hands of residents and public health workers of New York State. NYSACHO works with KathodeRay to bring important health issues to the attention of Public Health Officials and New York State Residents. 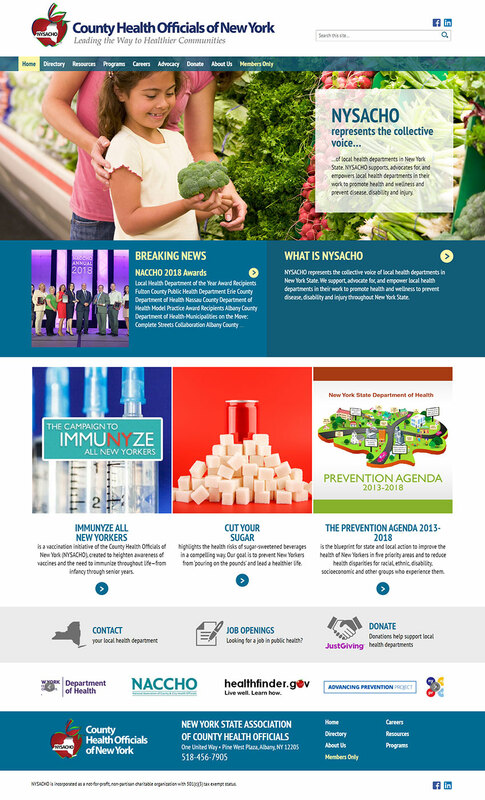 Issues range from increasing awareness about the importance of Immunization, to advocating legislation in the NY Assembly that protects health programs in New York State, as well as other initiatives. We developed an online conduit, ensuring that New York State Health Officials are informed of the latest challenges they may encounter. 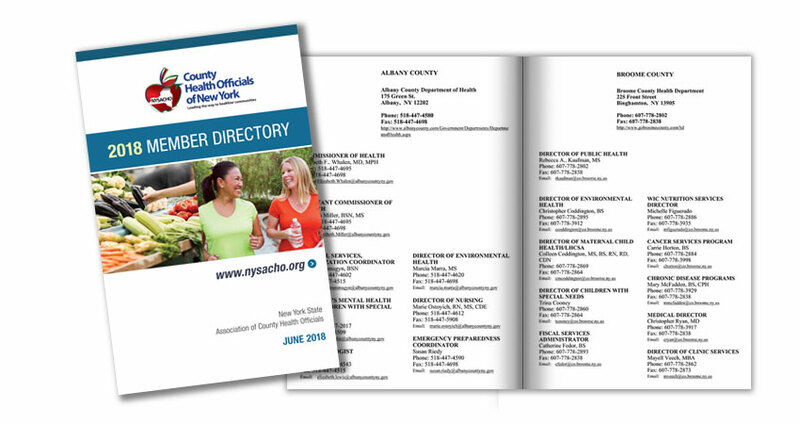 Each year, NYSACHO prints a member directory. How to make this easier? Export a Press-ready PDF file from their website. 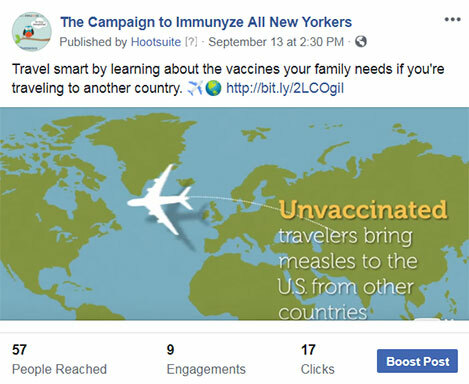 Leveraging Facebook in The Campaign to Immunyze all New Yorkers. We revitalized their website with an extensive private Members resource with varied levels of content access and editing priviledges.